BSIF Student Analysts Invest Real MoneyFounded in the fall of 2011, the Bulldog Student Investment Fund (BSIF) is composed of 20 undergraduate members from a diverse background of majors assembled to conduct equity analysis and make investments for the benefit of the Truman State University Foundation. In cooperation with the University , BSIF operates to subsidize future scholarships to high-achieving Truman students through the research, purchase, and management of equity investments. 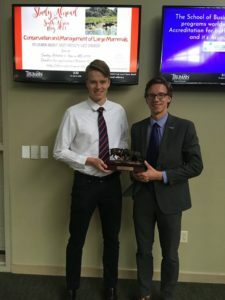 Founded in the fall of 2011, the Bulldog Student Investment Fund (BSIF) is composed of twenty-six undergraduate members from a diverse background of majors assembled to conduct equity analysis and make investments for the benefit of the Truman State University Foundation. 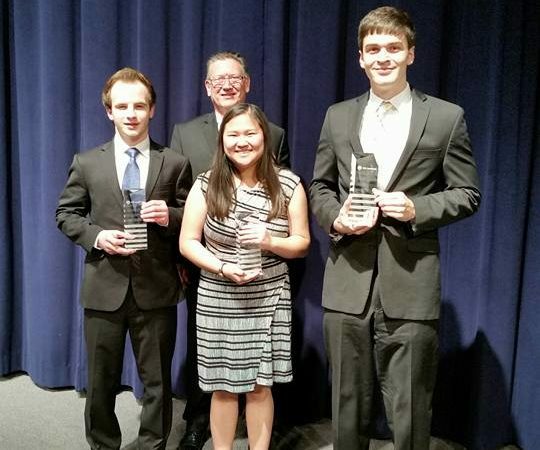 In cooperation with the University Foundation, BSIF operates to subsidize future scholarships to high-achieving Truman students through the interest and appreciation of equity investments. Led by President Ben Wingo and faculty advisor Charles Boughton, BSIF manages more than $120,000 of the University’s funds made available from the University’s General Foundation and external donors. With support from key alumni such as Mindy McCubbin, Equity Portfolio Manager for Shelter Insurance and Truman State graduate of 1997, the organization has benefited from growing financial aid and advising from faculty and alumni alike. Since its inception, BSIF was founded to instill in its members a sense of real world experience and accountability in managing substantial funds for the University. Over the past four years, BSIF has been developing educational programs to acquaint younger members with principles of fundamental equity analysis, discounting principles, relative valuations, DuPont analyses, and active qualitative assessments to compliment the fund’s investment strategy. Using a primarily value oriented investment strategy aimed at using a top-down approach to find mispriced securities in the market. 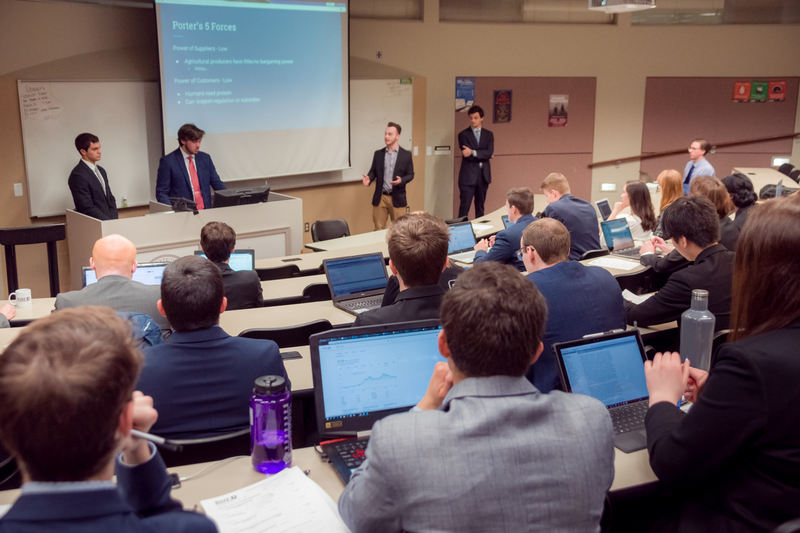 BSIF conducts formalized stock pitch presentations once per semester in Sector Teams of four to five members, allowing members to vote on investment decisions, entry points, and holding periods. BSIF is now an annual participant in the GAME Forum, sponsored by Quinnipiac University, and held in New York City. BSIF sent four delegates in the spring of 2018 to participate in world class lectures, seminars, and networking events. 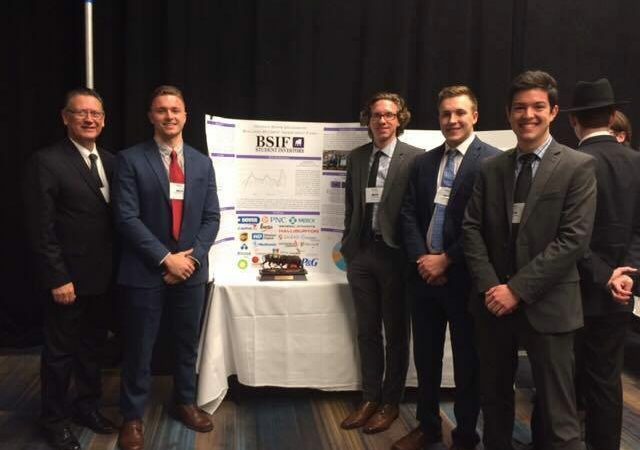 BSIF competed in the annual Student Managed Portfolio Competition hosted at the GAME Forum and took home first place for the highest risk-adjusted annual return for a value portfolio during the 2016 calendar year. Capitalizing on the keen guidance and strong academic success of its members, BSIF operates to fulfill their mission of Investing in Today’s Opportunities and Tomorrow’s Leaders. Hi. I am interested in joining this club, so I was wondering how I can go about doing that. Is it okay if I have had very little experience and education in investing? Thanks for checking us out! We will be having recruitment next in the fall of 2015. Please look out for more information around campus in August and like our Facebook page (link at bottom of page). We welcome interested people from all majors with all levels of experience. Having a passion and demonstrated action to support your interest in investing is a plus, but there is no specific knowledge that you need to come into the organization. Good job, I’d like to participate but I’m from a Middle East country.